Fashion magazines are a compulsory part of almost every household. With sensational models posing in some breath taking shoots, everyone envies them and wants to be them. This led to a humorous and creative project by France based photographers Metra Bruno and Laurence Jeason. 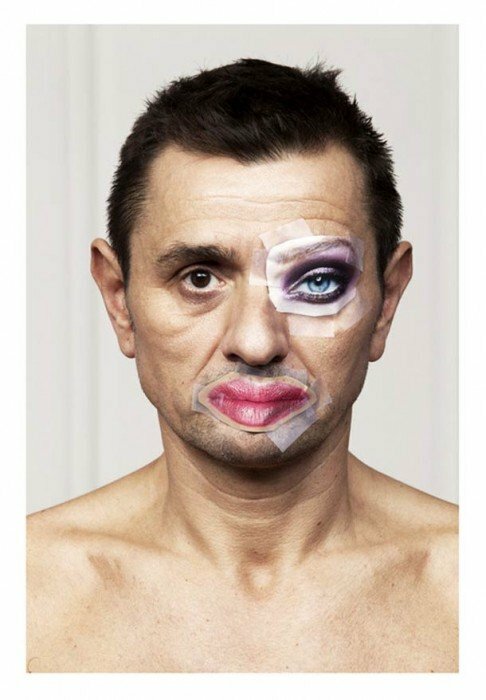 Using portraits of ordinary people, Bruno and Laurence created as series of images, where certain parts of the people’s faces were covered with those cut out from magazine shoots; giving an impression of a cosmetic surgery. Though quiet simple in execution, the background work of the project required a lot of hard work. Various cutting from magazines had to be matched with each subject’s features. 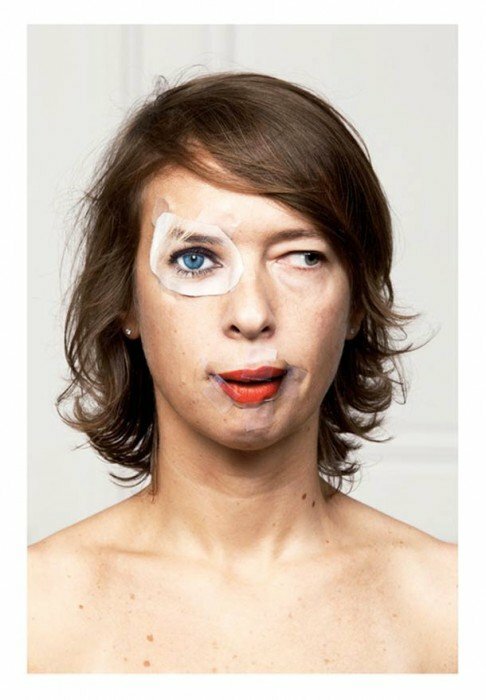 One of the portraits is of a man, with an embellished lift eye and perfectly lipstick clad lips pasted on his face. 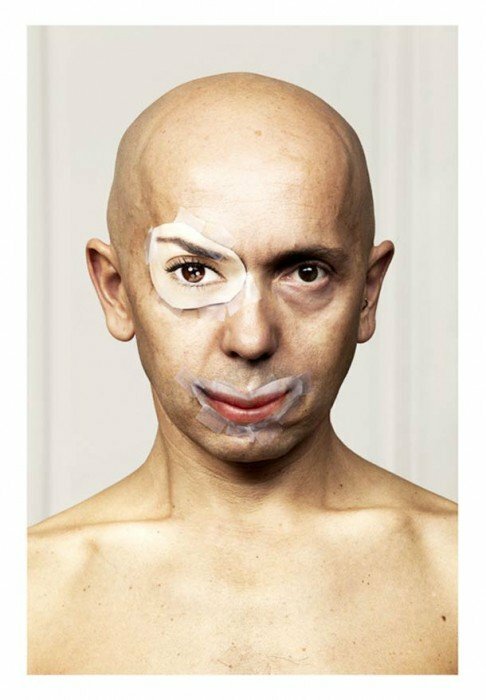 A very intriguing portrait is of a bald man, whose lips are redone normally; but his right eye is covered by the one that must belong to a very sharp or even sinister individual (not necessarily in person, but in a character). 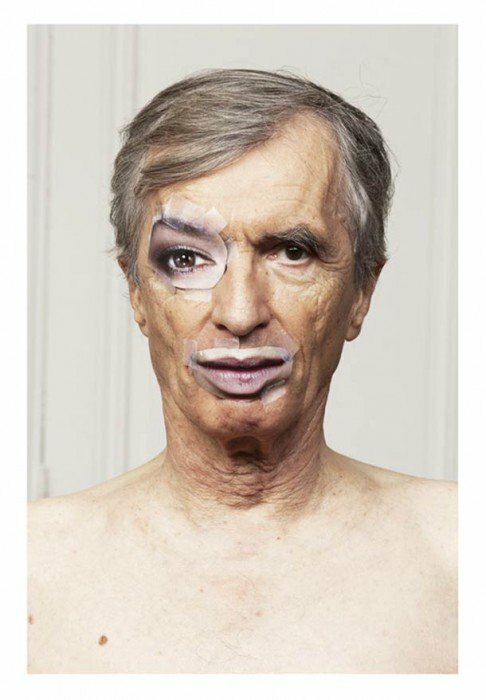 An old man’s portrait is treated by replacing his lips with the luscious ones of a female model. Moreover, his right eye is replaced with the eye of the same model, with perfectly trimmed eye brow, mascara and the natural blue color of the eye ball. A very comical portrait is that of a black fellow, already giving a humorous pose. 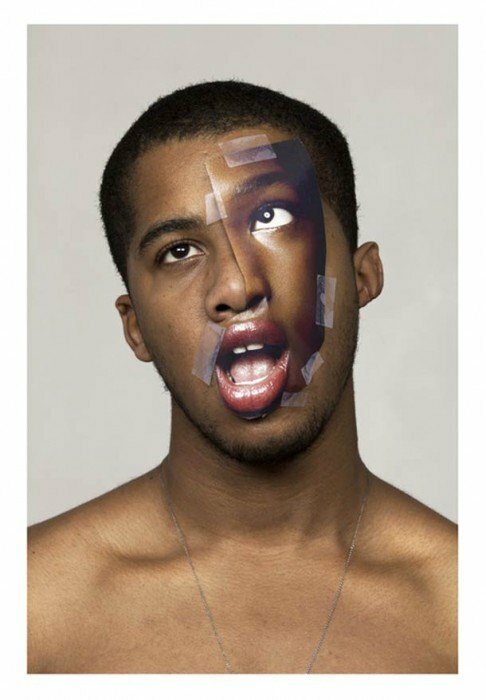 Hi left eye, along with some part of his cheek have been taped over with another models, a one dark of skin. 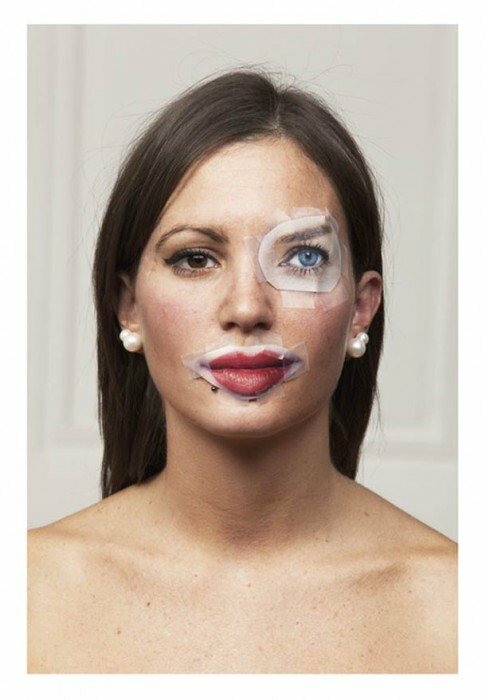 I am trying my best to guess what models or celebrities were used to create this manual cosmetic surgery. One pair of pouted lips reminds me of Angelina Jolie, a beautiful blue eye connotes it actually belongs to Mila Jovovich. Why don’t you try your hand at this guessing game, and enjoy this comical picture series in the process?